Eye See…Eye Learn is a unique program designed to promote readiness for learning among our “almost-ready-for- school”-aged children and to emphasize the importance of routine comprehensive eye exams with our eye doctors at Whitby Vision Care. The program provides comprehensive eye exams and glasses, by local eye doctors to junior kindergarten students in participating school regions. The eye exam costs are covered under provincial health insurance (or OHIP) when you show your child’s up-to-date health card. This means that there is no out-of-pocket cost to you for the eye exam. 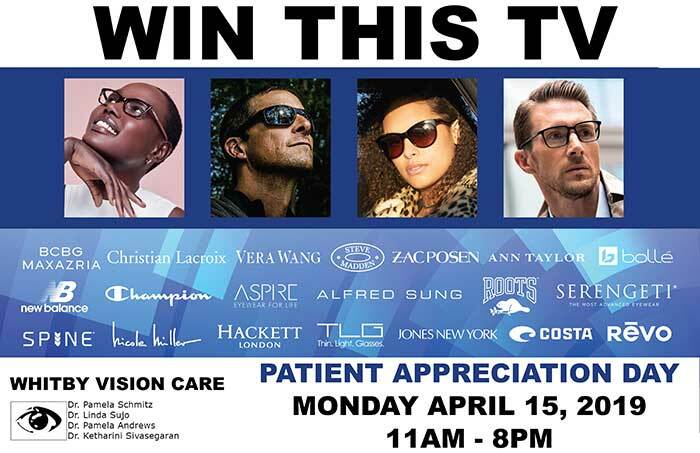 If your child requires a pair of glasses, they will receive them FREE of charge courtesy of the program’s sponsors. Children do not always know how to report a vision problem to their parents, usually because they think everyone sees things the same way they do. They don’t know what their vision is supposed to look like and have no way to compare so they just try to cope, therefore many vision problems will go undetected. Often times, there are no obvious signs or symptoms that parents can see if their child has a vision problem. One in six children will have vision difficulties upon entering school. Sometimes, poor vision can even be incorrectly interpreted as a learning problem. Early detection is critical for certain eye conditions, which, if not treated early (before the age of 6 or 7), the damage may be irreversible and could leave your child nearly blind in one eye. 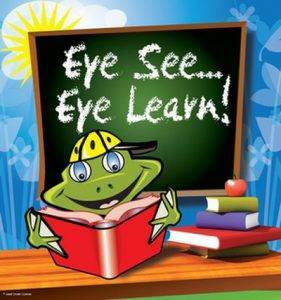 The Eye See…Eye Learn program was developed to raise awareness among parents about the importance of having their children’s eyes checked before starting school. Children, who cannot see the blackboard or follow words in a book will struggle to achieve their full learning potential and can develop poor learning habits and sometimes a real aversion to school. Vision problems can also impact your child’s outdoor activities with friends and potentially impact their social development. Click here for the free Fribbit Goes to School coloring book. For more on this great program, visit the Eye See Eye Learn website here.